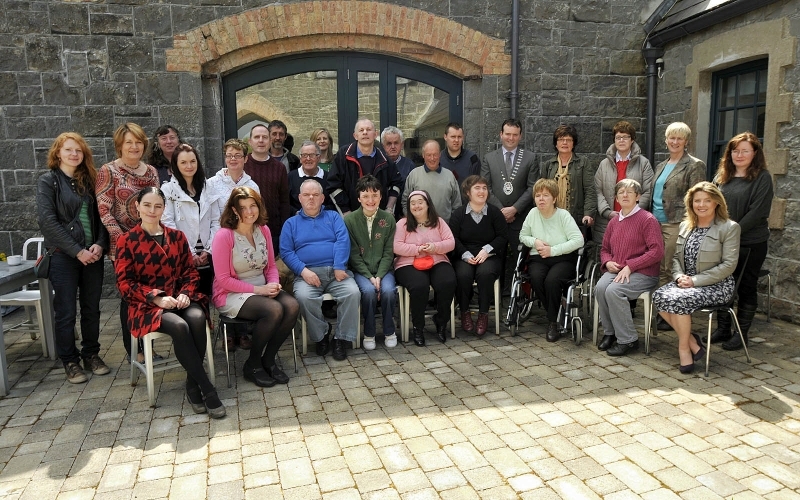 Luisne Art Project is a highly successful, nationally recognised arts programme for people with disabilities, based in the Ballinrobe area. 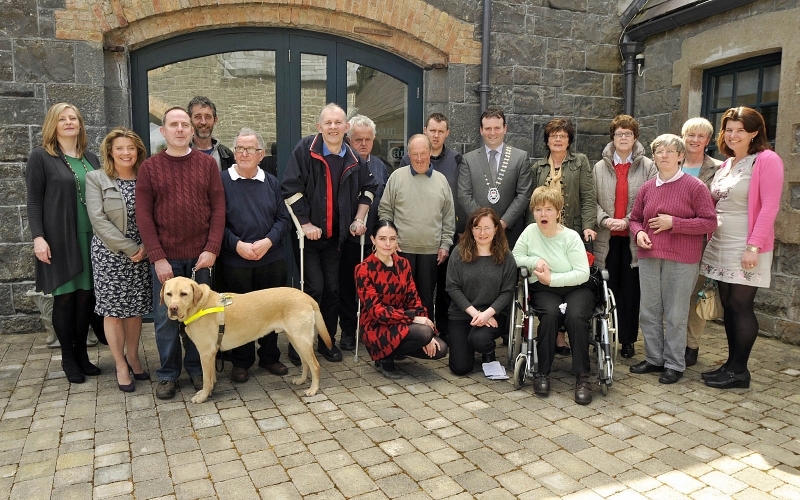 This partnership project, which was initiated in 2005, is supported by Mayo County Council and Western Care with administrative support provided by TACU, Ballinrobe Family Resource Centre. Pictured at the Luisne Art Project Exhibition which is being held in The National Museum of Country Life Café, Turlough, Cyril Burke, Cathaoirleach Mayo County Council who launched the exhibition. Photo © Ken Wright Photography 2013. Pictured at the Luisne Art Project Exhibition which is being held in The National Museum of Country Life Café, Turlough, l-r; Teresa Warde, Western Care, Damien O’Connor & Igor, Arts Office, Mick Smith, Mayo Arts Squad, Orla Heverin, Arts Office, Anne McCarthy, Arts Officer, Cyril Burke, Cathaoirleach Mayo County Council, Michelle Walsh, Tacu Resource Centre, Mary Jackson, Tacu Family Resource Centre, Breda Mayock, Luisne Art project, Maureen Harrington, Cranmore Day centre, Clodagh Doyle, National Museum of Ireland, Breda Murphy, Luisne Art project. Photo © Ken Wright Photography 2013. 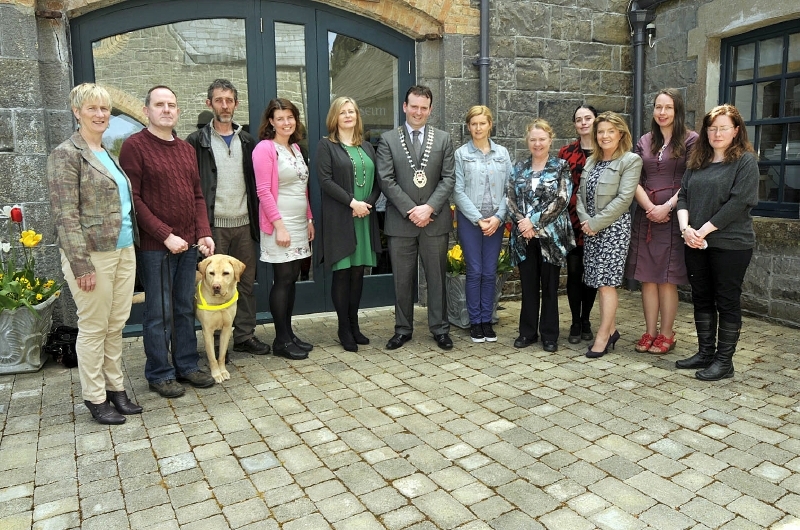 Pictured at the Luisne Art Project Exhibition which is being held in The National Museum of Country Life Café, Turlough, Cyril Burke, Cathaoirleach Mayo County Council with members of the Mayo arts Office, artists from the Luisne art project and the Carrowbeg Centre Westport. Photo © Ken Wright Photography 2013. 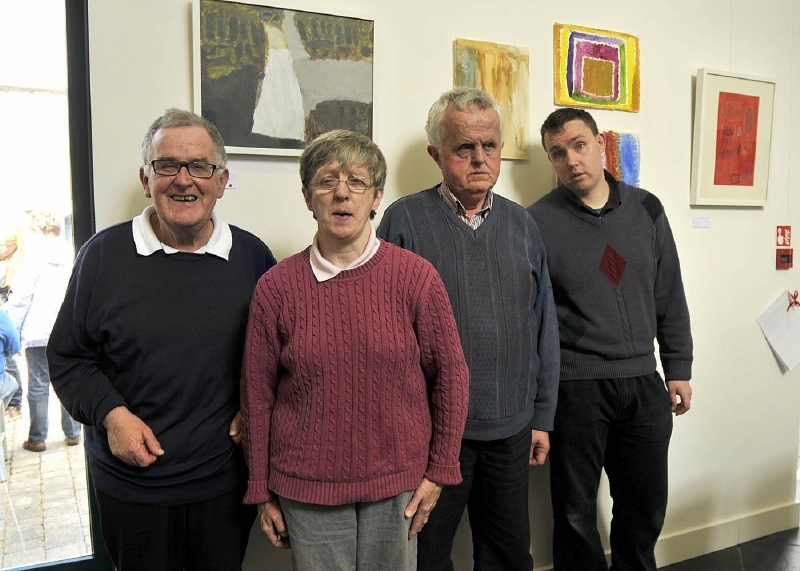 Pictured at the Luisne Art Project Exhibition which is being held in The National Museum of Country Life Café, Turlough, a group of artists l-r; Martin Reilly, Bridie Lally, Patrick Wall and John Walsh. Photo © Ken Wright Photography 2013. Pictured at the Luisne Art Project Exhibition which is being held in The National Museum of Country Life Café, Turlough, l-r; Anne McCarthy, Arts Officer, Maureen Harrington, Cranmore Day centre, Damien O’Connor & Igor, Arts Office, Mick Smith, Mayo Art Squad, Martin Reilly artist, , Seamus Burke, artist, Patrick Wall, artist, Peter Shaughnessy, artist, John Walsh, artist, , Cyril Burke, Cathaoirleach Mayo County Council, Theresa Dooley, artist, Carmel Kenny, artist, Teresa Warde, Western care , Bridie Lally, artist and Orla Heverin, Arts Office. Front l-r; Breda Mayock, Luisne Art project, Breda Murphy, Luisne Art project, Mairead Coyne, artist. Photo © Ken Wright Photography 2013. 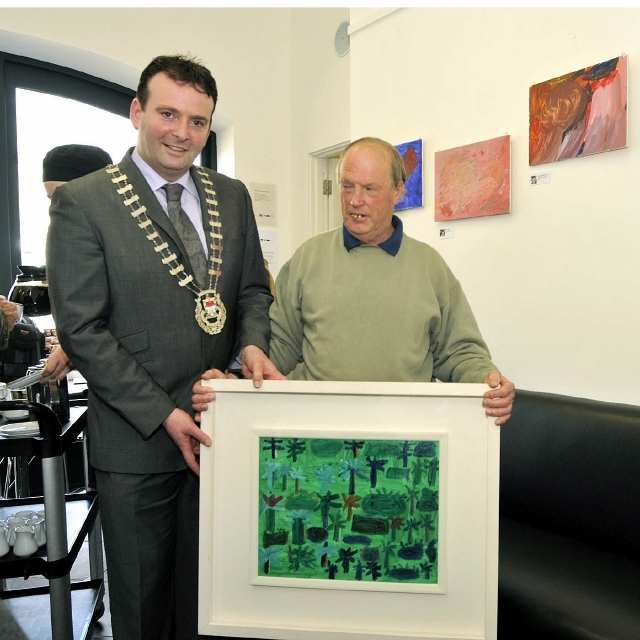 Pictured at the Luisne Art Project Exhibition which is being held in The National Museum of Country Life Café, Turlough, Cyril Burke, Cathaoirleach Mayo County Council With Peter Shaughnessy, displaying his painting which will be raffled at the end of the exhibition, tickets are €2 each . Photo © Ken Wright Photography 2013. This programme has become a model of best practice and the quality of the work produced is excellent. Thus the group have achieved many high profile exhibitions - in The Linen Hall Arts centre, Castlebar, University Hospital Galway and Custom House Studios, Westport. A new and exciting exhibition Encounter iopened in The Museum of Country Life, Turlough on Tuesday 21st 2013. This exhibition of work features art produced during joint workshops between Luisne Art Project and The Carrowbeg Centre in Westport. 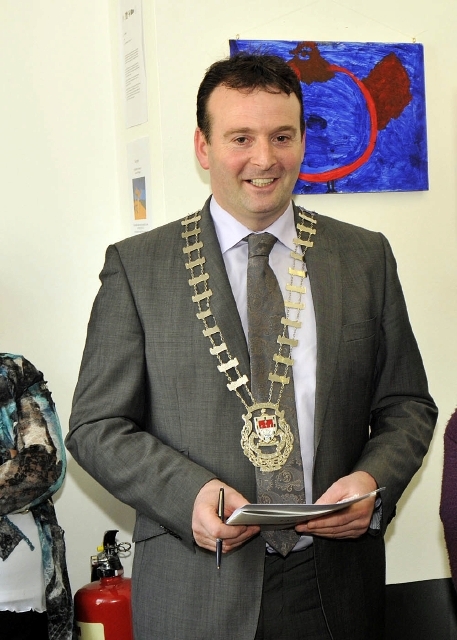 The opening was attended by the Cathaoirleach Cyril Burke. The exhibition will run in the Café at the Museum until June 20th.